Would You Buy A Car From A Dog Hating Car Dealer? In the WeLoveAnyCar.com dog survey, 77% of car owners with dogs said their choice of car was dependent on the best fit for their dog. Given that dog ownership is on the rise - and the dog can be the final decider - how welcome do car dealers make dog owners? 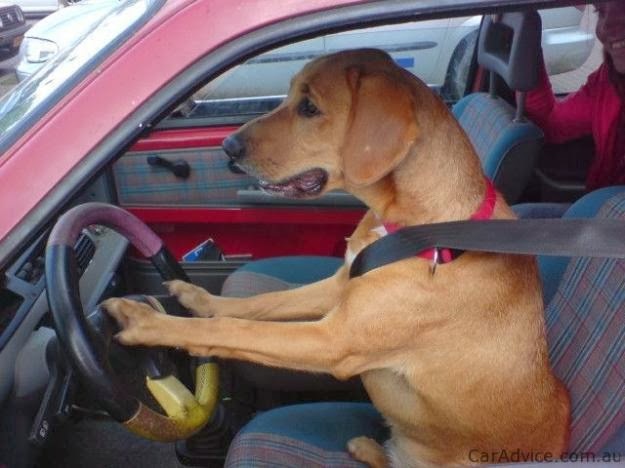 Dogs In The Driving Seat When It Comes To Car Buying? The fact is over 20% of car owners will have dogs. Today's car market can be rough and dealers should take the lead and lay out the welcome mat for the family dog. Car manufacturers seem to have caught on to the importance of the family pooch. Volkswagen, for example, has seen considerable world-wide success with their #woofwagen campaign. Dealers may not hate dogs but most don't see how important they are. Nowadays dealers cater for kids and treat both sexes equally but, to them, your dog is a nobody whilst, to you, he or she is part of the family. Some dealers are catching on and an article in Automotive News features dealers (in the USA) who have seen that passing the 'sniff' test can win them business. If you know a dealer or a car salesman - send him a link to this article. Our job, as dog owning car lovers, is to spread the word.